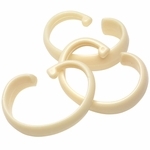 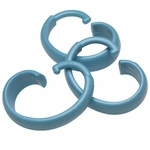 The Hang Ease "C" Type Plastic Shower Curtain Hooks, seen here in the color: Super Clear, are one of the easiest to install and lowest cost options for buying shower curtain hooks wholesale in bulk. 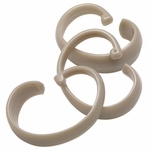 If you are needing a low cost and time saving hook option, the Hang Ease C-Type Plastic Shower Hooks are the fastest to install and one of the cheapest shower hook options available. These Super Clear "C" Type Shower Curtain Hooks are available wholesale by the case of 48 shower hook sets, with each set having 12 C-Type Hooks. 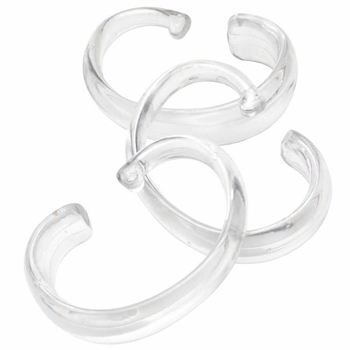 Super Clear 100% Plastic - Economical, Durable, Easy-Clean. 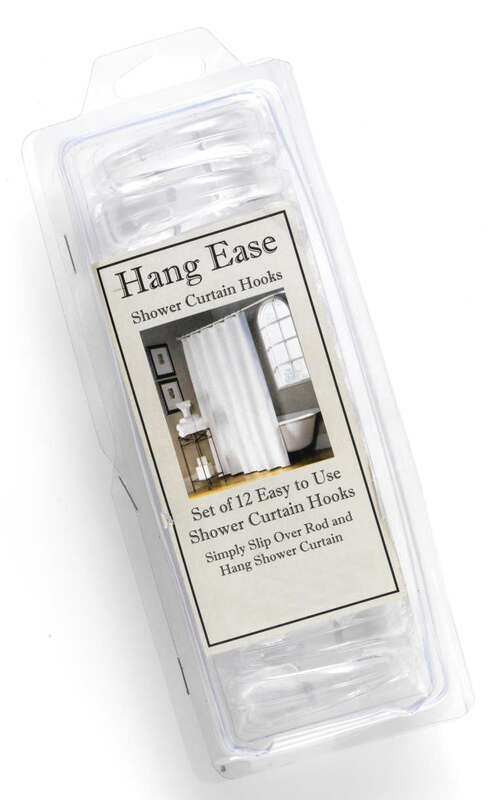 Available for wholesale purchase by the case of 48 Shower Curtain Hook Sets - Each Set includes: 12 Super Clear C-Type Shower Curtain Hooks.